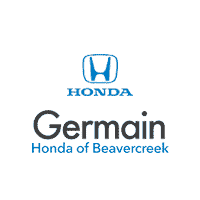 Continuing the excellence of the model’s 10th generation, the 2019 Honda Accord includes dynamic styling combined with potent performance, cutting-edge tech, and life-saving safety innovations. Its fastback profile and coupe-like silhouette combine to create an unmistakable presence on the road. You’ll have your choice of two potent yet economical engines paired with either a 6-speed manual transmission, 10-speed automatic, or an advanced CVT. Drivers will have complete confidence behind the wheel thanks to the standard Honda Sensing® suite of intelligent safety and driver-assistive technologies. Inside the interior of the Accord, you’ll find generous seating and advanced tech features to help the miles fly past your windshield. 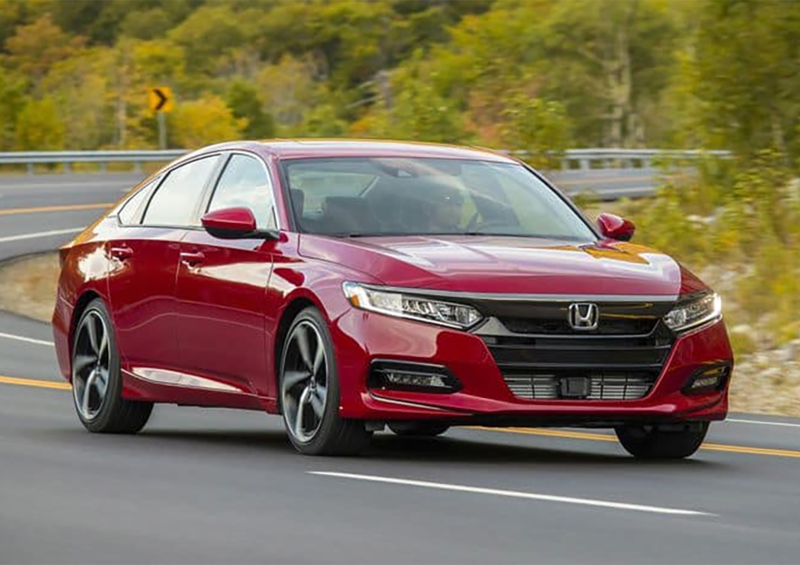 If you’re searching for a stylish midsize sedan that makes no sacrifices on premium craftsmanship, you should take a closer look at the 2019 Honda Accord. The Honda Accord returns for 2019 virtually unchanged from the previous year. The one difference is that the Touring trim is now offered with the 2.0-liter turbocharged 4-cylinder engine as its sole engine option. It’s easy to find the right 2019 Accord to match your driving habits thanks to two distinctive engine choices. 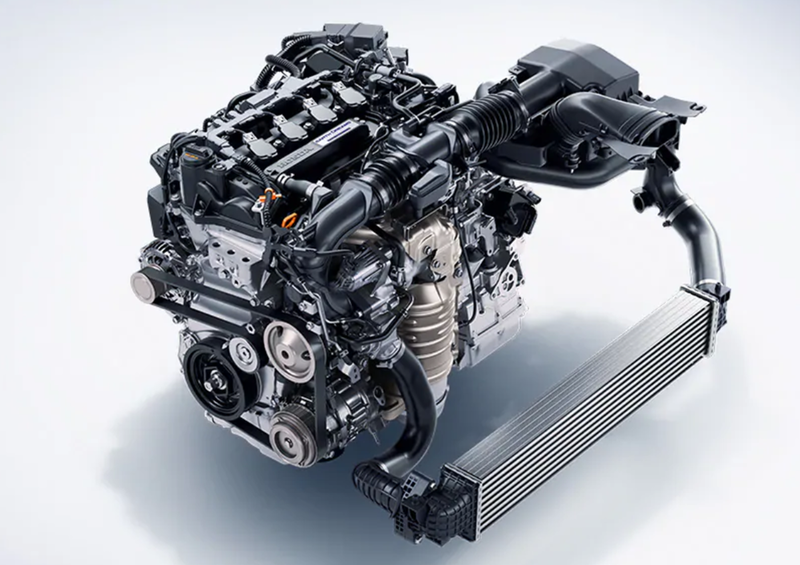 Standard power comes in the form of a 1.5-liter VTEC® Turbocharged 4-cylinder which produces 192 horsepower and 192 lb-ft of torque. Looking for more exhilaration? The optional 2.0-liter turbo delivers 252 horsepower along with 278 lb-ft of torque for instantaneous response. Ideal for those who prefer to select their own gears, a 6-speed manual transmission is offered with both the 1.5-liter and 2.0-liter engines. An advanced CVT is offered on 1.5-liter models while the 2.0-liter can be equipped with a 10-speed automatic transmission for maximized fuel economy. Adaptive dampers actively control suspension articulation for an agile driving experience with the Honda Accord. Inspired by concert hall design, the interior of the Honda Accord gives drivers an uninhibited view of your surroundings along with outstanding refinement thanks to the use of Active Noise Cancellation™. Upscale materials include optional leather-trimmed seats which are finished with precision stitching. For quick access to important information, a full-color 7-inch Driver Information Interface includes a customizable in-dash display. Available Apple CarPlay™ and Android Auto™ smartphone integration lets you listen to your favorite songs, get directions, check appointments, and much more all with your compatible smartphone. You can cut down on unnecessary clutter from adapters and cords with the optional Wireless Phone Charger. An optional 8-inch Display Audio touchscreen and 10-speaker Premium Audio System each provide seamless access to your favorite tunes. 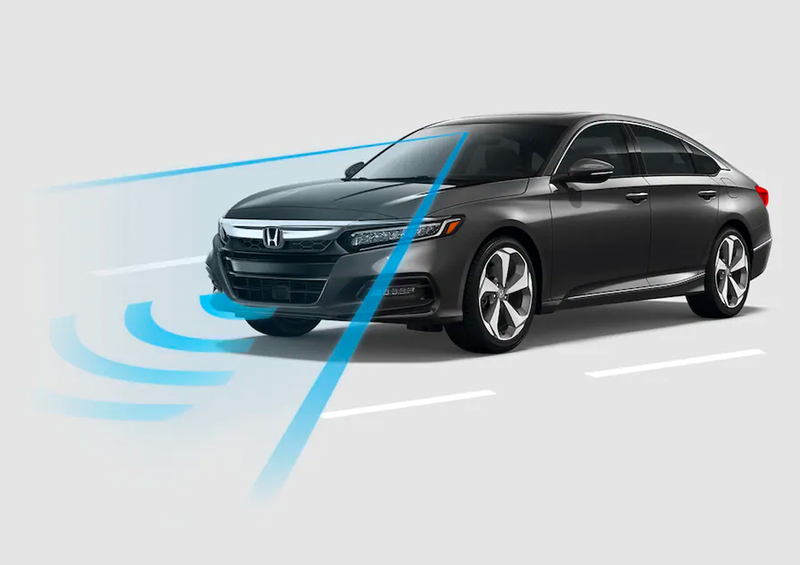 Included as standard on every Accord is Honda Sensing® — an intelligent suite of safety and driver-assistive technologies. Features found in this comprehensive collection include Traffic Sign Recognition (TSR), Lane Keeping Assist System (LKAS), Adaptive Cruise Control (ACC), Road Departure Mitigation System (RDM), and Collision Mitigation Braking System™ (CMBS). You’ll even have access to a driver-awareness monitor which is able to alert the driver in the event that they begin to exhibit signs of fatigue or lowered attention and suggest taking a break. The Honda Accord has been named to Car and Driver’s 10Best Cars list again and again. This year marks the 33rd time the Accord has made the prestigious 10Best list. *MSRP includes $920.00 destination but excludes tax, license, registration, and options. Dealers set own prices. 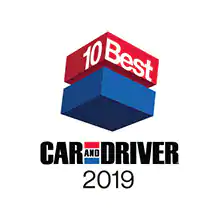 1Source: 2018 Car and Driver 10Best Awards List.